Analog Devices expanded its suite of Power by Linear™ µModule® regulators with the LTM4700 step-down DC/DC power regulator, which combines the highest power in its class with the energy efficient performance needed to reduce data center infrastructure cooling requirements. Configured as dual 50 A or single 100 A configuration, the new power µModule’s innovative package technology enables an increasing server density and boosts data center throughout and computational power with minimal impact on system size and cooling costs. 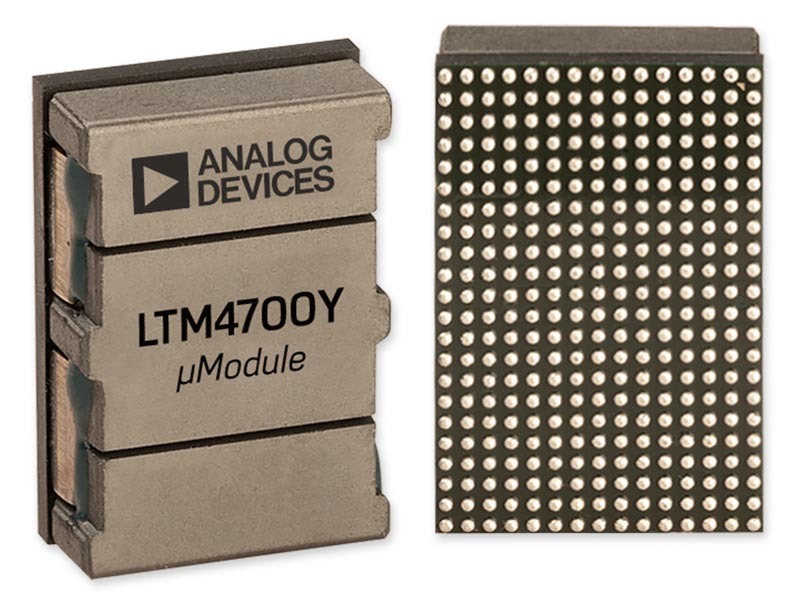 The LTM4700 µModule’s highly integrated, component-on-package design includes onboard memory, data conversion circuitry and digital interface, reducing it to nearly half the size of competing devices. 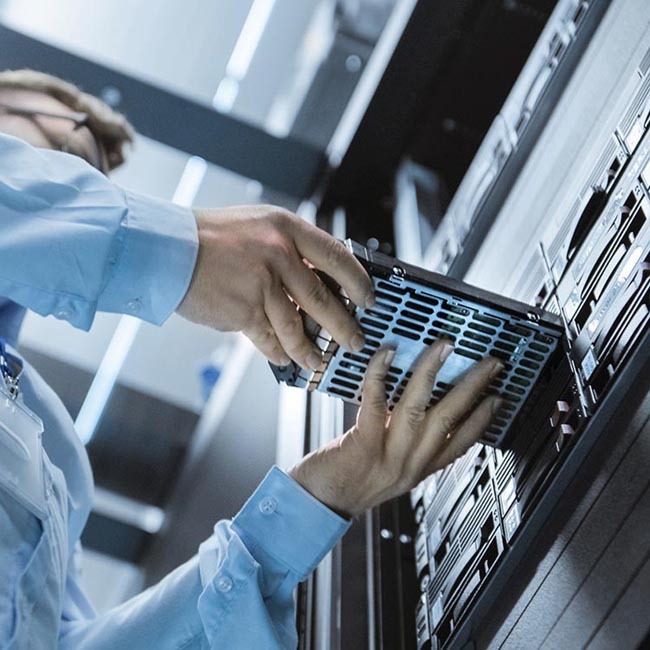 Applications include cloud computing, high-speed computing and optical networking systems, communication infrastructure, and PCIe boards, as well as medical, industrial, and test and measurement equipment. The LTM4700 operates at using innovative heatsink packaging technology, compared to modular solutions from competitors which typically run at 90 °C. The LTM4700 can deliver full 100 A at 12 VIN to 0.8 VOUT with 200 LFM air flow up to 70 °C ambient temperature. Peak conversion efficiency at 12 VIN to 0.8 VOUT reaches 90%. The µModule’s architecture also enables system designers to combine up to eight devices, delivering up to 800 A of load current to meet the higher power needs of data center processors, including FPGAs, ASICs, GPUs and microcontrollers. 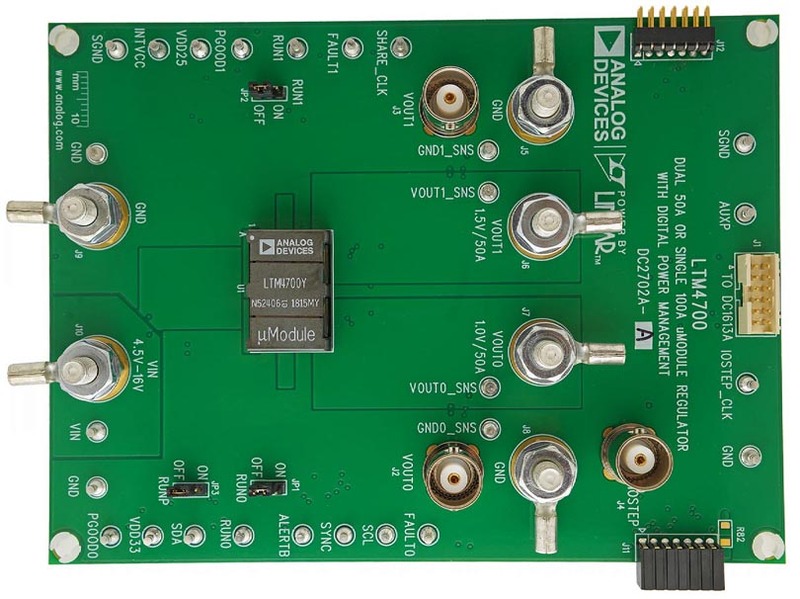 The LTM4700 operates from a 4.5 V to 16 V input range, with output voltages digitally controlled from 0.5 V to 1.8 V. Integrated A/D converters, D/A converters and EEPROM enable users to digitally monitor, record and control power parameters using an I2C PMBus interface. Switching frequency is synchronized to an external clock from 200 kHz to 1 MHz for noise-sensitive applications. The LTM4700 also has self- and load-protection features against fault conditions such as over- and undervoltage, overcurrent and overtemperature. Efficiency vs Current at 12 V Input.